Earn 2.74 Weta Dollars! What's this? Alan Lee, the Oscar-winning conceptual designer for The Lord of the Rings movie trilogy, discusses his approach to depicting Tolkien's imaginary world. This book is full of beautiful art and it's high quality! A must-have. 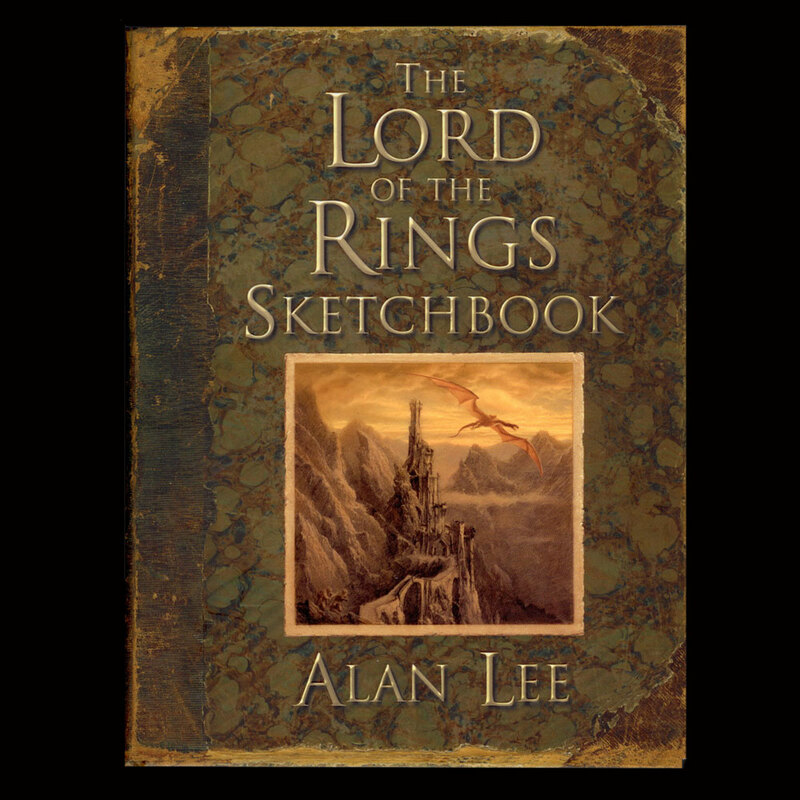 The book presents more than 150 of Alan Lee's celebrated illustrations to show how his imagery for both the illustrated The Lord of the Rings and the films progressed from concept to finished art. In addition, the book contains 20 full-colour plates and numerous examples of the conceptual art produced for Peter Jackson's film adaptation. The Lord of the Rings Sketchbook provides a wealth of background information and will be of interest to those who know and love Tolkien's work, from books to films to DVDs, as well as to budding artists and illustrators interested in how to approach book illustration. A must-have for Middle-earth fans, creative folk and anyone who loves beautiful artwork! Author Alan Lee was born in England in 1947. Inspired by Tolkien's work to pursue his chosen path as an artist of the mythic and fantastic, he has illustrated a wide range of books including Faeries, The Mabinogion, Castles, Merlin Dreams, the centenary edition of The Lord of the Rings, and The Hobbit. He is a winner of the Carnegie Medal for his illustrated edition of The Illiad.